The Justice, Equality, Community (JEC) grant is a three year, campus-wide initiative funded by the Andrew W. Mellon Foundation to support increased interdisciplinary engagement with issues of race, gender, religion, and social justice within the humanities at Davidson College. · Identify and digitize JEC collections. · Integrate JEC materials into at least 5 new courses. 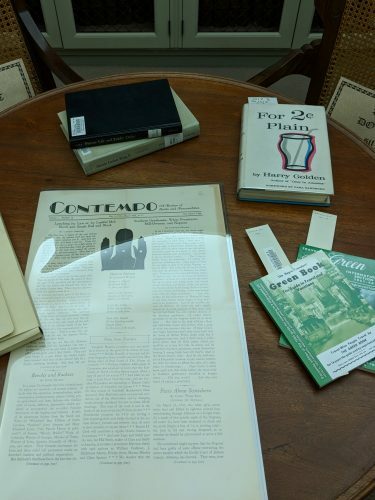 · Expand archival collections related to JEC, particularly the oral history collections. 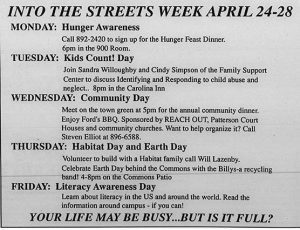 · Lead public programming about JEC materials, both on campus and in the larger community. 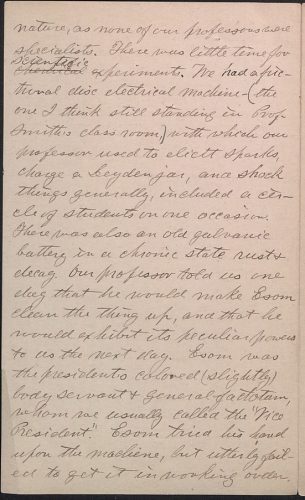 This handwritten reminiscence of life at Davidson College was written in the 1840s by an alumnus, Reverend Jethro Rumple. The document contains a description of the College President’s “body servant,” Esom. 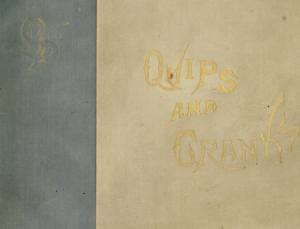 This item was digitized with JEC grant funds and can be found on DigitalNC.org. In order to more effectively engage our audiences and build a stronger collection, we selected a thematic focus for each year. For the academic year 2017 – 2018, we focused on 19th century Davidson. Working with partners like DigitalNC and H.F. Group, we identified and digitized thousands of items related to this theme. 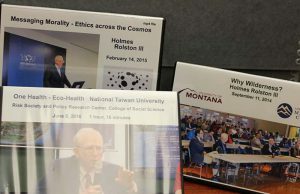 These materials are available through Davidson College’s research guides – a centralized platform familiar to our students and faculty, while also being accessible to the general public. 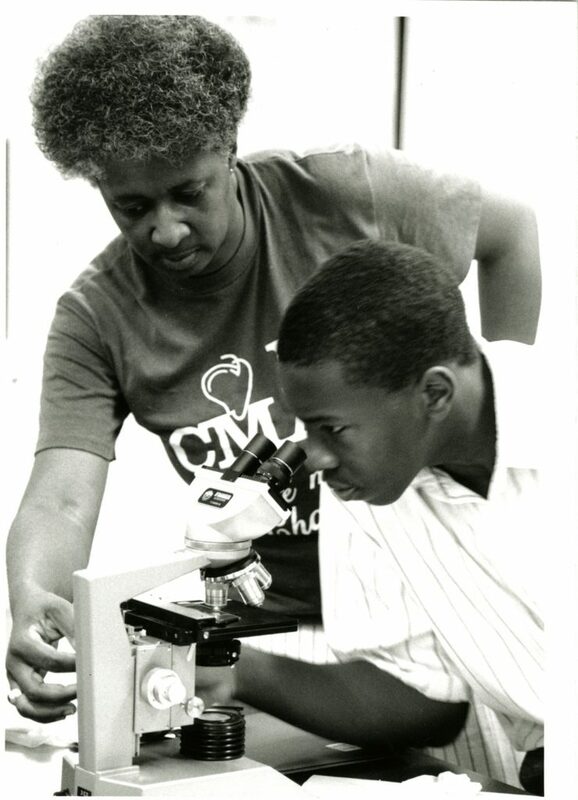 We have built on these efforts throughout the 2018 – 2019 academic year by highlighting and expanding our records related to alumni and student activism through support for course-based oral history projects, the on-going digitization of our existing oral history collections, and more targeted student outreach. Some of these materials have already been incorporated into a variety of classes, including Introduction to Africana Studies (AFR 101), Environmental History (ENV 256), Slavery and Africa (HIS 366), Native Women (HIS 243), WRI 101, the Humanities Program (HUM 103, 104), US Latinx History (HIS 259), Women and Slavery in the Black Atlantic (AFR 329), and Origins of the American South (HIS 242). Special collections material pulled for the Fall 2018 Humanities course. 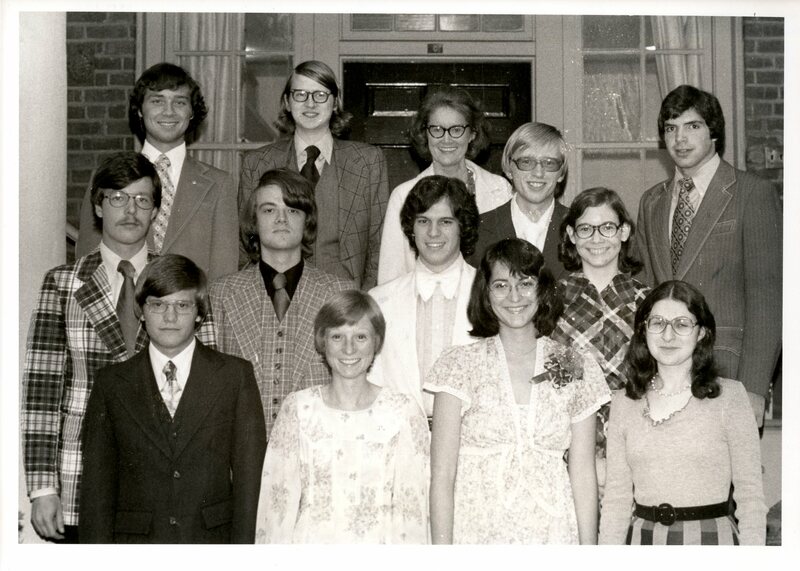 In many of these classes, as well as others, students often express concern that “Davidson is always talking about where we’re going, but rarely talks about where we’ve been.” Students wonder about how their legacy will be represented—and if it will be represented. Understanding we were uniquely positioned to address this concern, we formed the JEC Student and Alumni Advisory Council—if we were targeting students, we wanted to empower students as full archival partners to recognize their labor for us, as well as in the community. 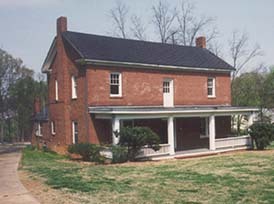 The JEC Advisory Council, composed of Davidson College students and recent alumni and led by the JEC Project Archivist, was established in the Fall 2018 semester to document and publicize the ways in which students have engaged with and responded to historical and contemporary manifestations of injustice and inequality in Davidson and the surrounding area. 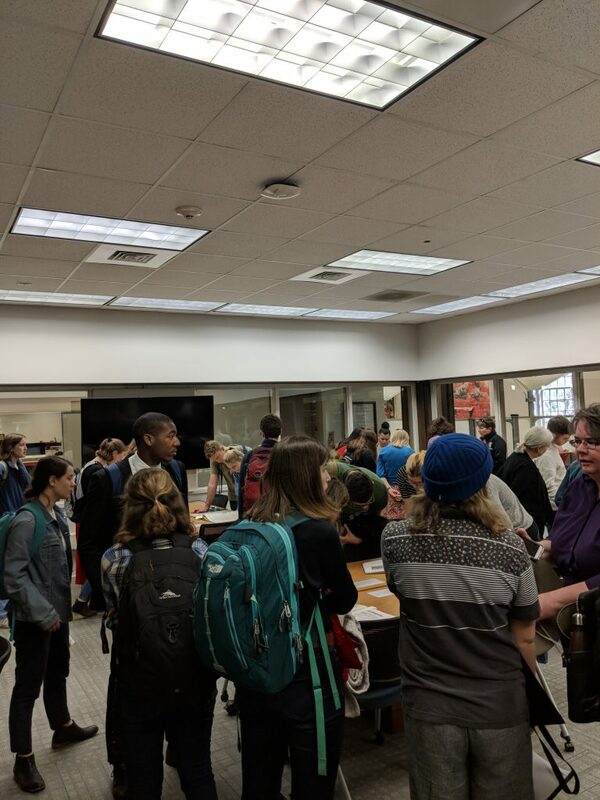 Attendees interacting with archival materials during the debriefing session for the Davidson Disorientation Tour co-led by one of our council members, H.D. (April 2018). Supported by the archival portion of the JEC Andrew W. Mellon Foundation grant, we are working to synthesize information from academic, administrative, and social spheres for a better understanding of campus culture and greater acknowledgment of student work. The ultimate goal of this project is to address gaps between student needs and institutional responses, empower students to better leverage archival resources, and to promote dialogue around increased accountability for supporting student-led projects. To accomplish this, we will identify, collect, and digitize the data, records, and oral histories of student organizations and their community partners, both through the acquisition of existing documentation and the recording of information that does not exist in a formal or textual source; following this, we will organize programming according to our findings in order to facilitate meaningful conversations and tangible impacts. We are confident that, in addition to meeting our primary goals, this project will also promote a better understanding of the archives as a resource and increase transparency around the processes and accessibility of college documentation, thus creating a foundation for future projects and coalitions. The statement of purpose was written and approved by the inaugural members of the JEC Student and Alumni Advisory Council in March 2019. The group has met on a monthly basis since January 2019. If you have any questions or would like more information, please contact Jessica Cottle at jecottle@davidson.edu. Interestingly, this back-and-forth surrounding the black fraternity debate in 1989 was covered by a writer for the Charlotte Observer, Ricki Morrell. In her coverage, she mentions opposition within Davidson’s fraternities and dormitories against the idea of a black fraternity on campus. In a short column commenting on Morrell’s piece, President of Patterson Court Council Bennett Cardwell sought to provide a clearer picture of where the Davidson student body generally was in terms of the debate. In a piece titled “Story Is One-Sided,” Cardwell identified Tom Moore as “a random senior” dissenter whose opinions did not “in any way represent those of the student body in general.” Cardwell assured that the opposition to diversifying Patterson Court was much smaller than Morrell led everyone to believe; he even stated that many white students were in favor of the idea of a black fraternity. Second, Cardwell rejected the notion that there were “white fraternities” at Davidson, assuring his audience that there were black members in the fraternities on campus. 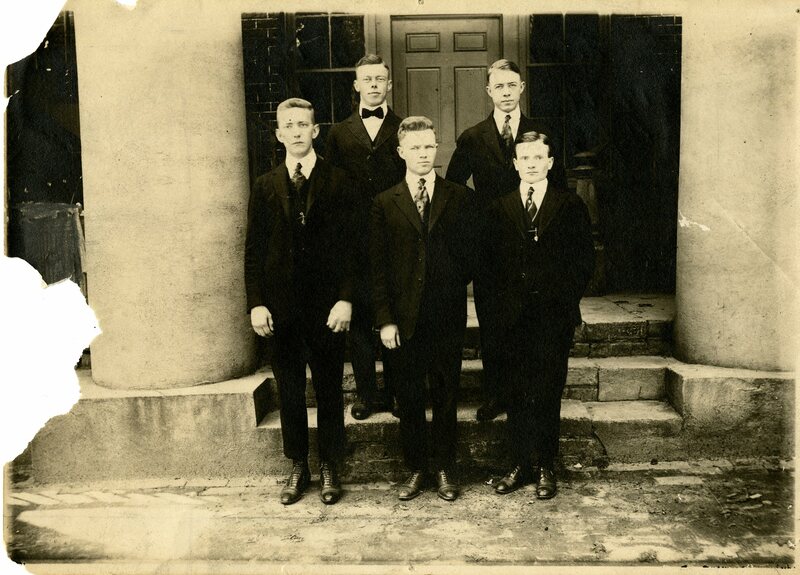 At the time, the members in Davidson’s six fraternities comprised about sixty percent of the student body. If Cardwell was the voice of reason in this debate, then given the fact that the interest in diversifying Patterson Court persisted as time went on, why did it take until 2003 to bring any black fraternity to Davidson College? 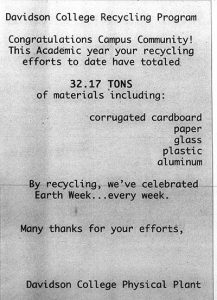 Aside from later concerns of sustainability from Alpha Phi Alpha, Inc., the college still holds a large portion of that responsibility. Some within the Davidson College community continued and continue to faithfully adhere to the inclusivity argument against diversification, reinforcing Davidson’s culture of color-blindness. 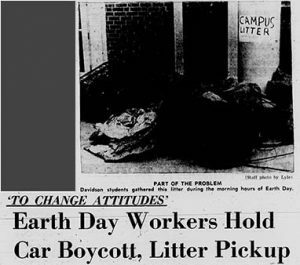 Historically, when that argument did not work, some attempted to augment it by expressing concerns of the further fragmentation of the Davidson College community. These arguments lend themselves to the notion of minimal representation. If color-blindness has been Davidson’s modus operandi, the goal of minimal representation is Davidson’s subconscious impetus. Minimal representation in this context refers to Davidson College’s tendency to strive for the bare minimum in terms of social representation so as to diversify and simultaneously be able to maintain color-blind tendencies as the institution evolves. That way, the college can comfortably fight for change and minimize social backlash on campus. The push for minimal representation is especially evident given Davidson’s decision to establish the BSC so early in the institution’s history of diversification, yet struggle with the diversification of Patterson Court for such a long time. The reluctance to establish any sorority on campus primarily due to the presence of eating houses also illuminates the desire for minimal representation. 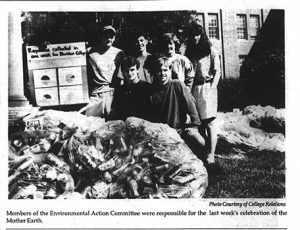 In a letter dated December 1,1997 and addressed to the President of Davidson College at the time, Robert F. Vagt, several members of the Executive Committee expressed why the college should not allow any sororities on campus. The committee stated their arguments clearly: sororities are organized around social exclusivity, eating houses are an inclusive system, and academic life would be adversely affected. 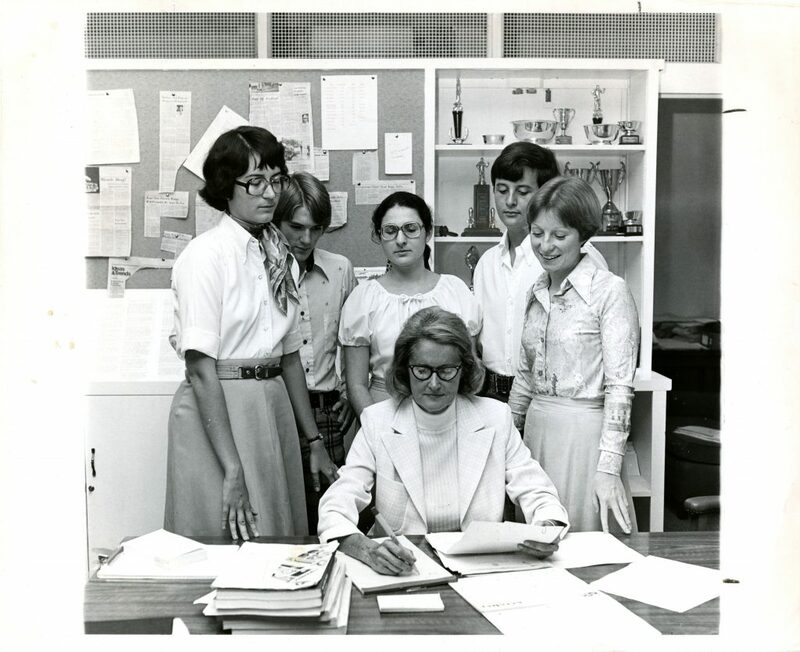 At this time, all of Davidson’s Patterson Court institutions were predominantly white and no sororities existed. 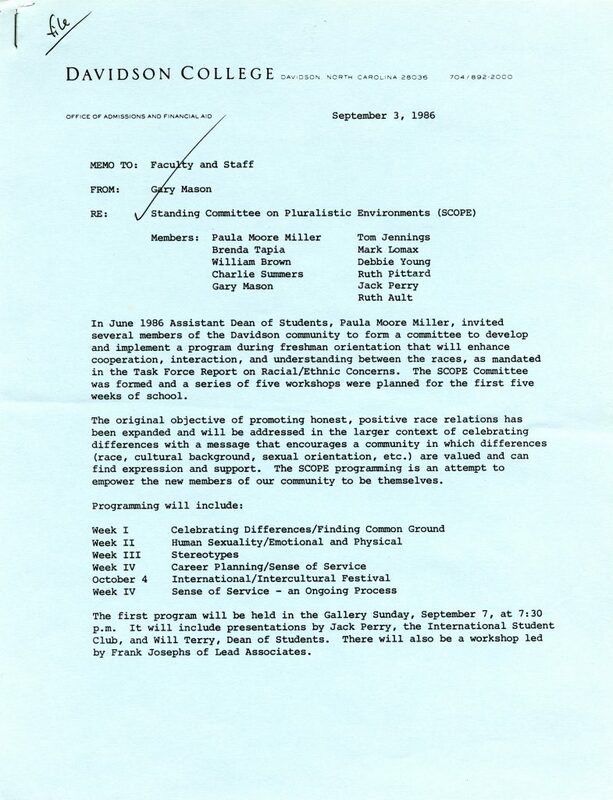 The Executive Committee’s letter exposes the same trope evident in the 1989 black fraternity debate: the inclusivity argument, and other arguments to fall back on should the former fall through. Davidson reveals itself to be suspicious of diverse social forms and exposes its affinity for the status quo. A status quo is not an inherently bad thing. However, when we consider Davidson College’s constant need and desire for structural improvement, using color-blind materials is not the way to go. In fact, it is a contradiction. Color-blindness has to be removed from Davidson’s toolbox if we are to improve this institution. If Davidson directly or indirectly utilizes blindness as a tool for its enhancement, nothing is actually ameliorated, hence the status quo. 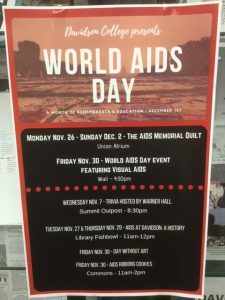 Some at Davidson College still pride themselves on their color-blind ideologies, and other types of blindness as well. Color-blind arguments coupled with minimal representation kept black fraternities off of Davidson’s campus until the early to mid 2000’s. 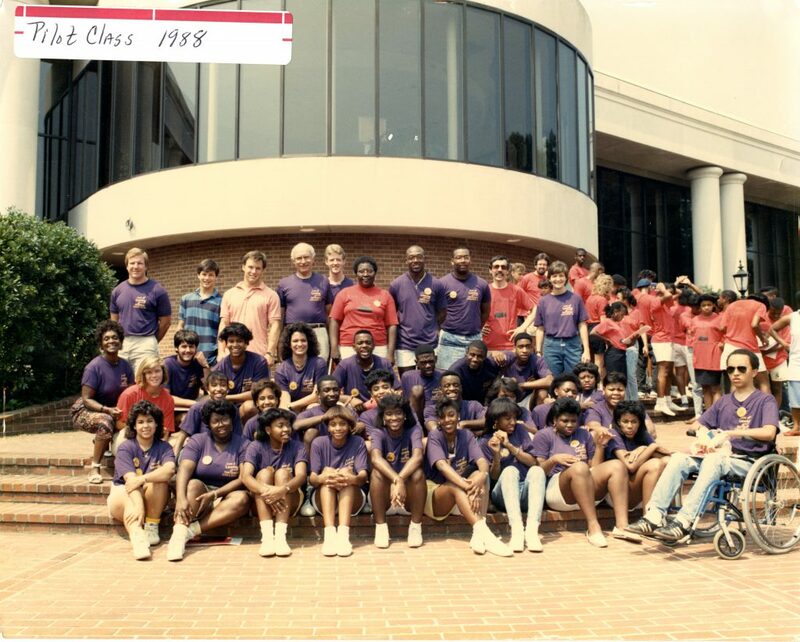 The 1989 black fraternity debate and later opposition against sororities are prime examples of the resilience color-blind ideologies have had within the Davidson College community. That is to say that Davidson College, as the institution exists now, has been compromised, just like the United States. Nevertheless, Davidson’s flaws are to be neither accepted nor celebrated unless the status quo is something we enjoy seeing. Ricki Morrell. “Black Davidson Students Push For Black Fraternity,” The Charlotte Observer, Article, November 21, 1989. Bennett S. Cardwell, “The Story Is One-Sided,” 1989. Ricki Morrell. “Black Davidson Students Push For Black Fraternity,” November 21, 1989. Lincoln Davidson, “Alpha Phi Alpha marks 10 years at Davidson College,” November 3, 2013. 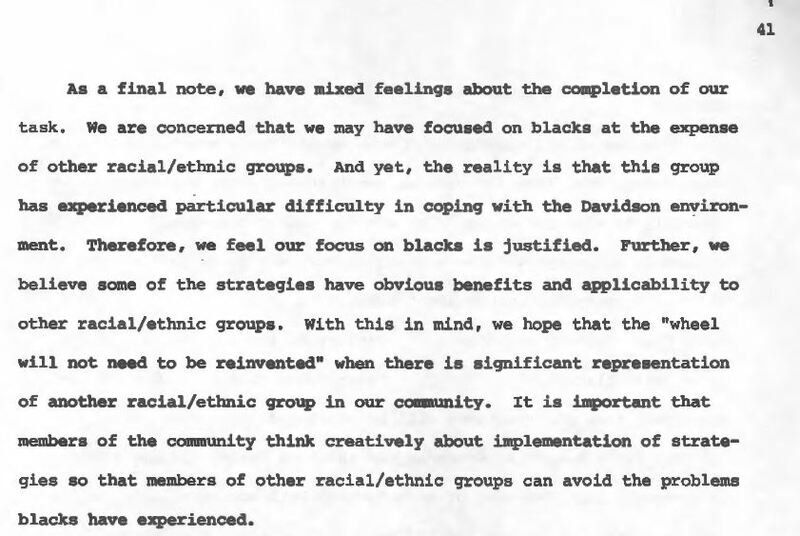 Executive Committee, “Sororities at Davidson College,” Letter to College President, December 1, 1997. This is part one of a two-part post; the second post will be on Wednesday of this week. 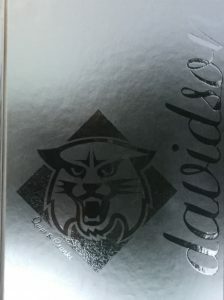 I am a Class of 2019 Africana Studies and Latin American Studies double major at Davidson College from Camden, New Jersey. My interests range from the social and cultural intersections of the African diaspora and Latin America to the political and linguistic disparities between the two. In the United States, many criticize the system for its failure to provide change inclusive enough to satisfy diverse populations. This system, whose evolutionary apparatus has been a combination of racism and white supremacy, cannot improve as long as its inconsistencies remain unchanged or are changed without its history in mind. In my opinion, Davidson College has done a decent job at separating itself as an institution from the greater system within which it exists. While the college has undone most discriminatory practices, blindness has been a leading instrument in the college’s push for improvement throughout its recent history. A system built on blindness – whether color-blindness, class-blindness, or any other form – is as flawed a system as one built on racism. This is not because one or the other is more prone to oppression, but instead because blindness does not work toward its own eventual goal of undoing structural oppression and underrepresentation. Davidson’s present reality of incomplete social inclusivity and color-blind ideologies can be attributed to its history of color-blindness as an apparatus of change in Davidson’s social realm. Contradictions of inclusivity within Patterson Court organizations, arguments against the diversification of Greek life, and minimal representation on campus have prolonged Davidson’s improvement historically. Davidson College’s preference for color-blindness does not mean it is incapable of making anti-racist decisions. 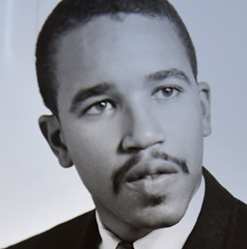 In terms of black student admission, Davidson had its first African American alumnus in 1968 with Wayne Crumwell, officially admitting him in 1964. This goes against the common narratives of near universal southern pushback against the Civil Rights Act of 1964 that called for scholastic integration. Just five years earlier, the Davidson College Board of Trustees insisted that 1959 was not a time when the “admission of Negroes” was in the “best interest of the College, of the Church, of the Students, or of any Negroes.” In that same vein, in a pre-1964 majority report by a few higher-ups at Davidson College, there were some interesting arguments against the admission of African Americans to Davidson College. These ranged from how the college would have to “lower the quality of its education” to how the admission of blacks would encourage miscegenation, which was outlawed at the time. 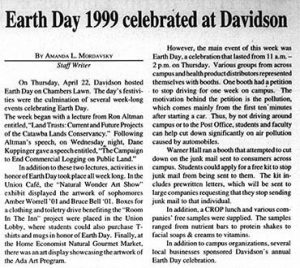 Yet, as soon as the civil rights law compelled Davidson to comply with integration, the college as an institution did so relatively quickly. 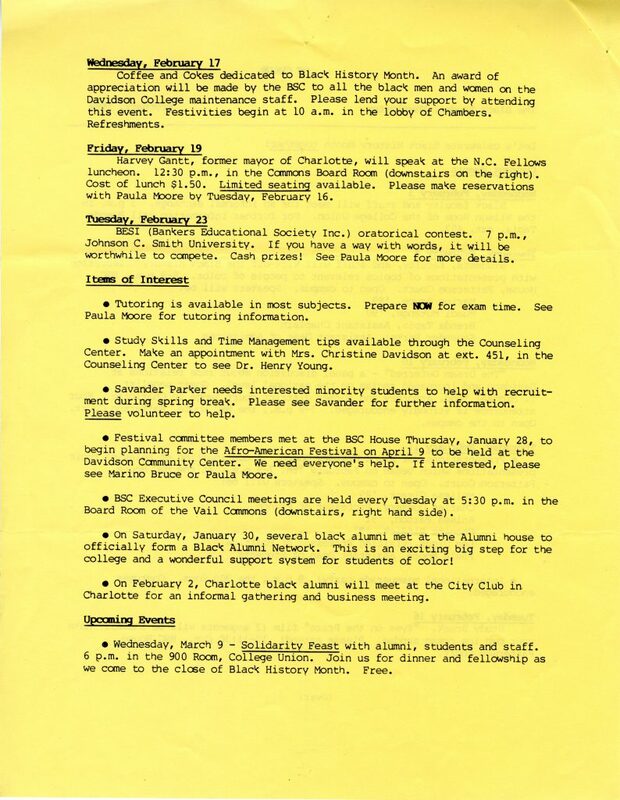 In addition to that, by 1970 the Black Student Coalition was founded on campus. Davidson’s speed in diversifying its student body and providing representation for its minority student demographic are evidence of the college’s ability to push toward anti-racism and cultural representation despite strong opposition within the community. 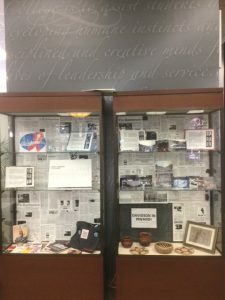 However, following the increasing level of diversity on campus in terms of gender and race, Davidson began to favor a color-blind ideology that guided decisions that would soon alter the appearance and atmosphere of the space. 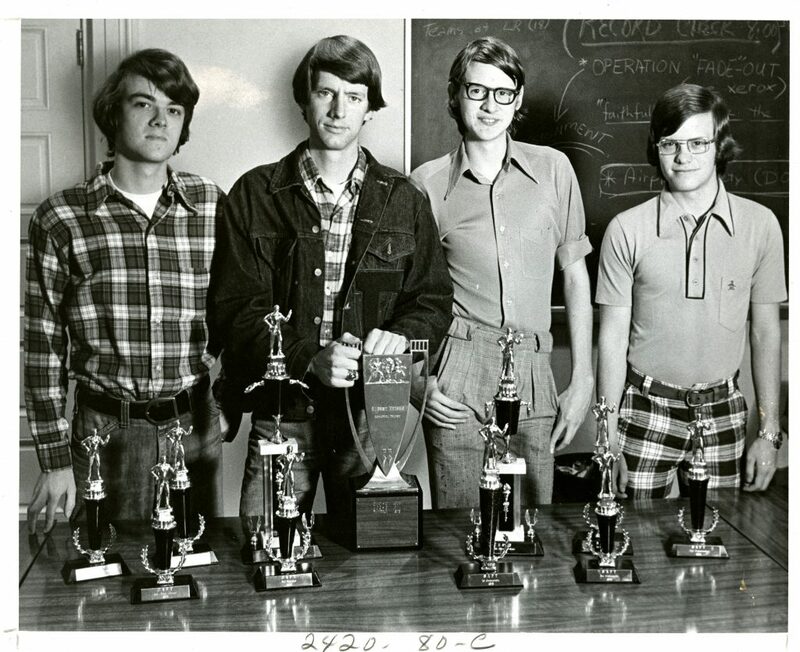 By 1989, Davidson College had six white fraternities in Patterson Court. 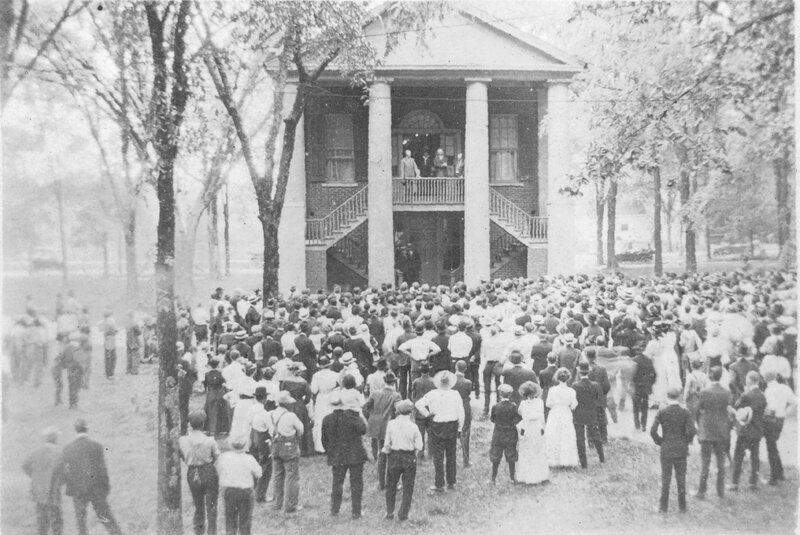 In that same year, a student debate regarding whether to introduce a black fraternity to Patterson Court surfaced. 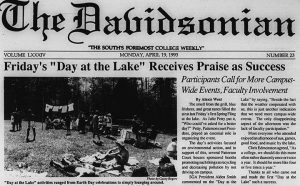 On October 25, 1989, a white Davidson College senior named Tom Moore wrote a piece responding negatively to one written by a Kappa Alpha Psi Fraternity, Inc., interest group a few weeks earlier. 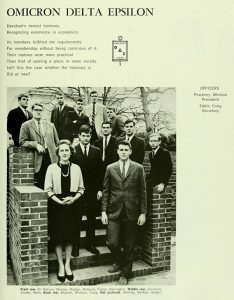 In his piece, Moore argued that a black fraternity “would segregate the campus” and that assimilation is the “best way to improve lines of communication”; he even contends that a black fraternity sounds like “the rationale for the ‘separate but equal’ doctrine” and that minorities on campus should just assimilate because Davidson’s predominately white social circles reflect the social reality of America. Although radical, Moore’s comments illuminate the basis of the inclusivity argument that: existing social organizations at Davidson are already inclusive and the exclusivity of a different organization would fragment the campus. This inclusivity argument, as one will see, goes on to repeat itself throughout Davidson’s evolution. 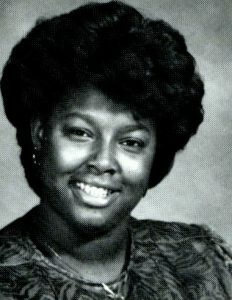 In response to Moore’s statements, black junior Darry Strickland published in the November 1, 1989 edition of the Davidsonian what would be the opposite pole of the debate. Strickland called out Moore on his “ethnocentric attitude” and communicated how black males at the college were forced to assimilate into white fraternities if they wished to participate in Greek life on campus at all. 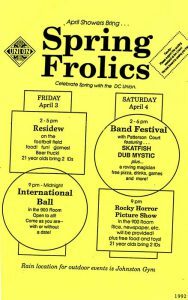 Even though white fraternities at Davidson College were not allowed to racially discriminate explicitly at the time, there is a reason that black male students interested in Greek life were not joining these fraternities at the college en masse. The organizations may have been inclusive on paper, but not diverse enough. They maintained their inclusivity, neglecting why it failed in the diversification of white organizations. 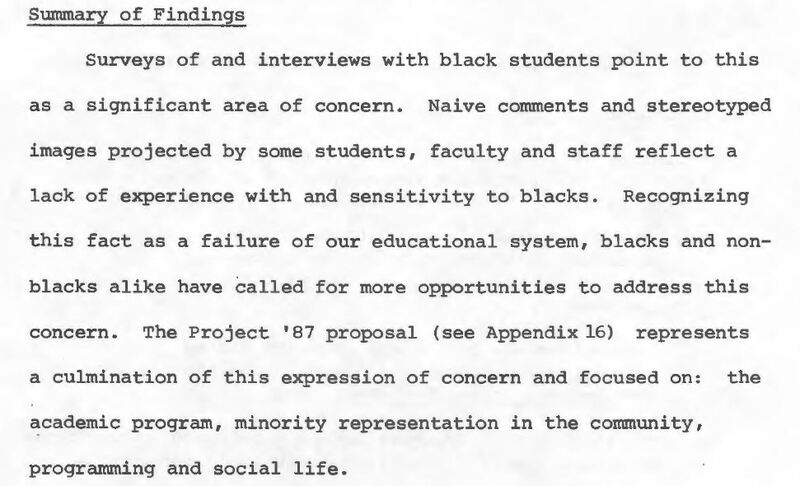 Although this contradiction of inclusivity was not necessarily the fault of the existing organizations on campus, Moore failed to acknowledge what black students wanted. 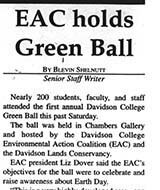 Black senior Melissa Givens makes this clear in the November 1, 1989 edition of the Davidsonian as well, providing more insight into how blacks fared in the Davidson social scene. In her commentary, she calls on Moore and the Davidson College community repeatedly to “accept and celebrate the differences” as opposed to recognizing them without their celebration, as the college had been doing. In other words, some within the Davidson College had been viewing differences as divisive, including Moore. I agree with Givens that assimilation silences those voices that are not a part of the majority. Her argument combats color-blindness directly and is one of the earlier moments of analysis identical to mine. Davidson College Board of Trustees. 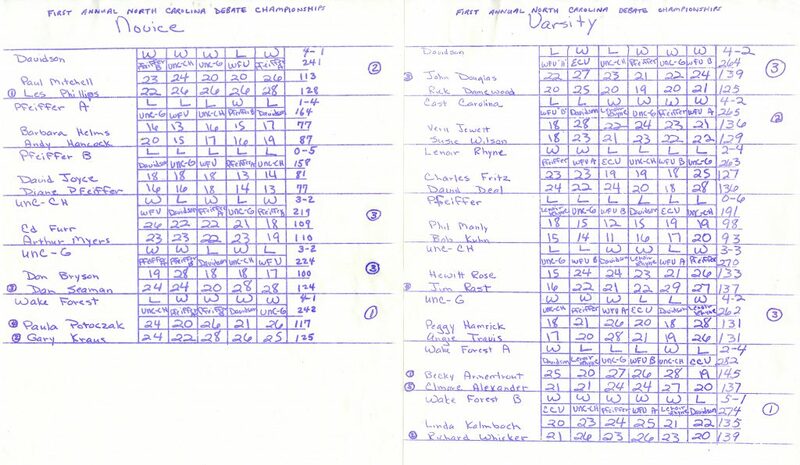 Meeting Summary, 1959. “Black Student Coalition House Showcases New Student-Painted Mural,” Davidson College News, September 11, 2013. Tom Moore. 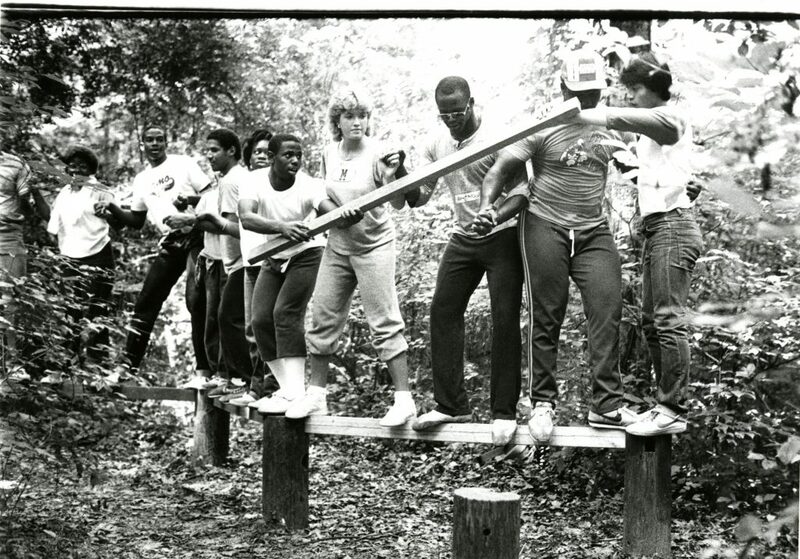 “Here’s how a black fraternity could be a bad idea,” Davidsonian Column, October 25, 1989. Darry Strickland. 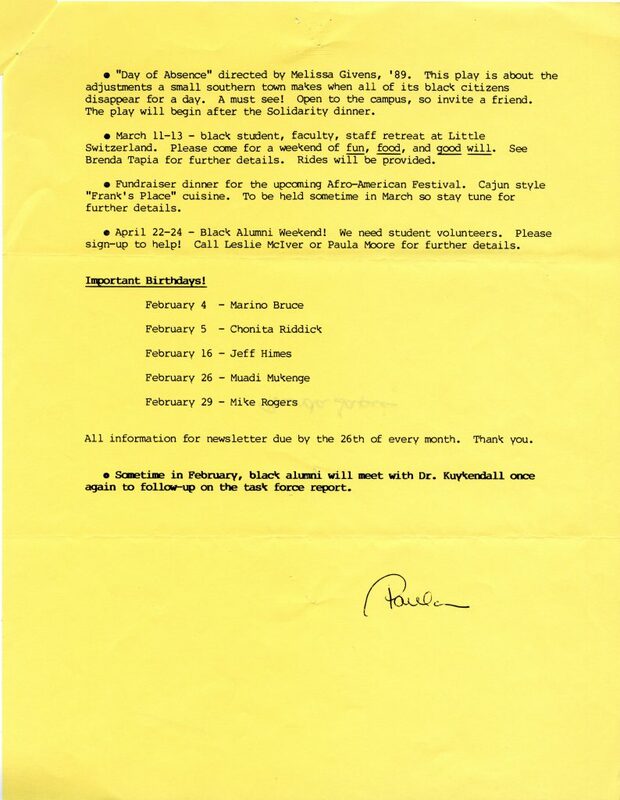 “A black fraternity is not an insidious plot,” Davidsonian Column, November 1, 1989.